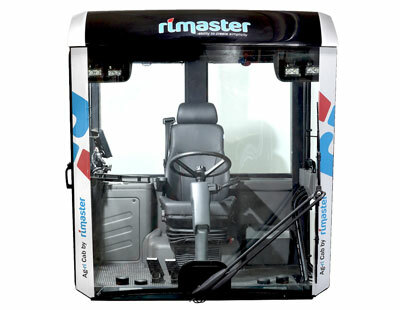 riCab is a standardized, modular driver’s cab for various kinds of machines. The cab is standardized enough to facilitate rationalized series production, which means it is cost-effective but, thanks to the modular design, it is also flexible. It is sufficiently adaptable to meet the needs of smaller producers of e.g. special agricultural machinery. Do read more about riCab here and in previous issues of Riview (2/2012, 1/2014, 2/2014, 1/2015 and 2/2015). To find out more about riCab, please contact Claes Hull on +46 70 650 55 70.